The Center for Computer Graphics – CCG celebrated its 25th anniversary on November 22nd and 23rd, at its facilities in the Azurém Campus of the University of Minho (UMinho), in Guimarães, with a series of varied initiatives. To mark a successful start in 1993 in favor of Research and Technological Development, CCG brought together an entire ecosystem of technological innovation, to share knowledge and experiences. The highlight of the festivities came on the 22nd Technology Days, with the discussion of several technological topics of the moment and the presentation of CCG technologies, through their researchers, including the future vision of CCG for 2025. These presentations can be visualized in the Facebook do CCG. On the 23rd, an Open Day was held, with the opening of CCG laboratories and projects to the community, which allowed visitors to get close contact with this technology center. In the afternoon there was a panel discussion on Technology Transfer (University – Company) and the role of the TIC (Technological Interface Centers), attended by representatives of TIC, Universities and National and International Industrial Associations. To close the celebrations, a solemn session was held, which included the Minister of Science, Technology and Higher Education – Manuel Heitor, with the Rector of the University of Minho, Rui Vieira de Castro, and the Mayor of Guimarães, Domingos Bragança and with historical GCC figures. Luís Amaral, Chairman of the Board of Directors of CCG, spoke about the past, recalling great projects of the CCG, about the present, and about the future of this institution. The aim of the CCG is to increase the number of employees from 65 to 86, and the number of associates from 26 to 33. The GCC is expected to invest around 3.5 million euros over the next three years, receiving funding of 1, EUR 5 million to carry out its activities over the next three years. Rui Vieira de Castro, Rector of UMinho, defined as “essential” the role of the CCG “in the process of affirmation of certain scientific areas, in the perspective of incorporating the results of scientific activity in what are the solutions that companies operating in the area can develop “, recognizing that” the activity of the CCG has contributed to affirm, increasingly, the name of the University “. In this solemn session, the CCG Innovation Awards were presented to the most innovative emerging companies, as well as an institutional video of the CCG and a record book of the institution’s 25 years of history. A musical performance of a quartet of woodwinds was also held in the auditorium of the CCG, made up of students from the music course of the University of Minho. 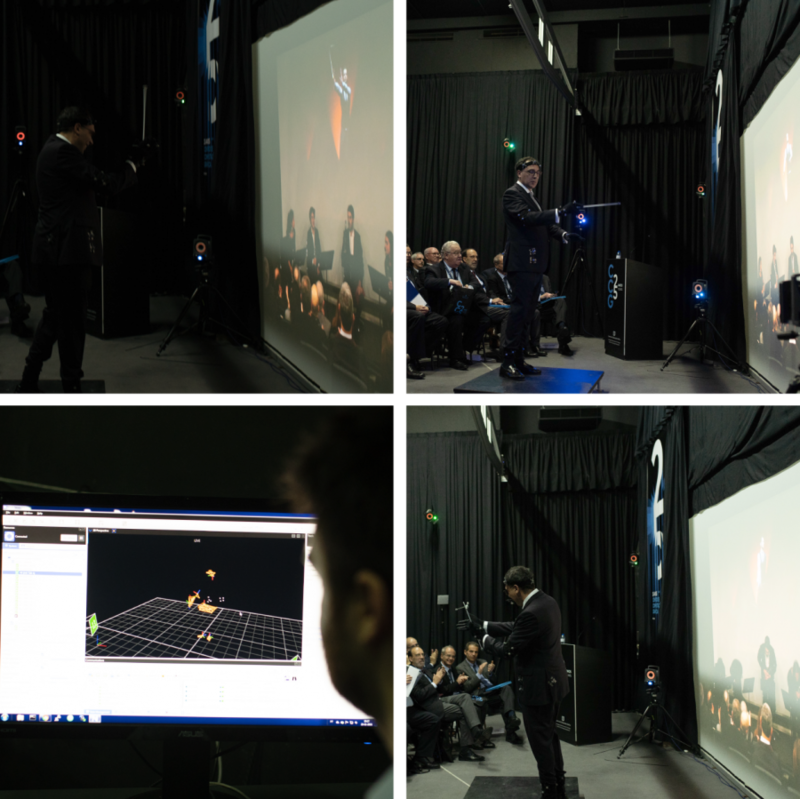 Making use of the technological capabilities of the CCG, the musicians were directed by a virtual conductor (avatar) that replicated in real time the movements executed by the conductor Vitor Matos that thus directed the performance from the CAVE space of the CCG. More information and an image gallery on the event’s website, as well as in CCG Facebook photo albums.